For 14 years, AP correspondent Nicole Winfield has covered the Vatican, a firsthand witness to papal practices, seeing a side of Francis that few have glimpsed over his travels to South America, Asia, Europe and the Middle East. What follows is an excerpt of her introduction to "Pope Francis: Transforming the Catholic Church," a book published by The Associated Press. At 35,000 feet, you see a different side of Pope Francis. It's not just the proximity of traveling on the papal plane or tucking into the same creamy lasagna and beef filet that is clearly a papal favorite on the Alitalia charter that ferries him around the globe. It's seeing Francis relaxed, surrounded by a handful of his closest aides, embarking on a new adventure or returning home from one, exhausted. For starters, he has an almost sinister sense of humor. When a Spanish colleague asked the 78-year-old pope after a particularly grueling three-nation trip how he managed to have enough energy to get through the day, Francis chuckled: "He meant to ask, 'What drug is he on?'" He can be candid to a fault. When a German journalist asked why, in all his talk about the rich and the poor, he had neglected to ever mention the tax-paying middle class, Francis thanked him for the "correction," said it was a "mistake" on his part, and promised to address it after thinking it through. Francis also has a bit of street thug in him — remnants perhaps of an immigrant upbringing in working-class Buenos Aires and ministry later in life in its slums. Asked once by a French journalist about the attack by Islamic extremists on France's Charlie Hebdo satirical newspaper, Francis threw a pretend punch at a Vatican official and explained that if someone insults his mother — or his faith — he can expect to get socked in return. I discovered an altogether different side of Francis when I met him for the first time during his first foreign trip. 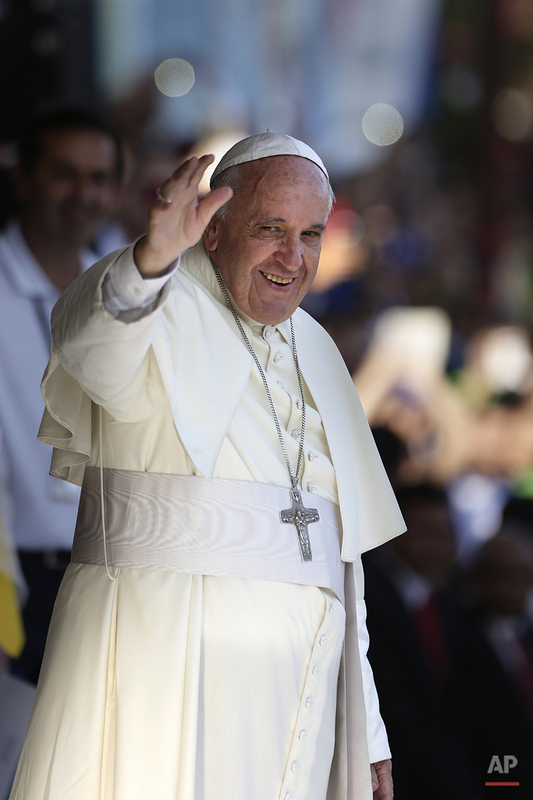 I had rehearsed in my head the brief words I wanted to say when Francis greeted each of the 75 or so journalists who were traveling with him to Rio de Janeiro for the Catholic Church's 2013 World Youth Day. Like the rest of the world, I had witnessed how in a few short months, Francis had turned the papacy upside down and electrified crowds in a way his grandfatherly but stiff predecessor, Emeritus Pope Benedict XVI, had never managed to do in eight years. What I wanted to tell him was that as a mother, I particularly enjoyed watching him interact with children: From the gentle kisses he readily bestowed on the heads of newborns to the playful way he'd muss the hair of teens who got within arms' reach. He immediately cut me off. "What are their names?" he asked. Flustered, I thanked him for asking and recited the names and ages of each of the children. "Ahh," he said, satisfied. "I always like to ask a mother about her children because she always smiles." And so I learned, in that very first encounter, that Francis also has something of a charmer in him, an easy way of engaging a complete stranger that was surprising, and yet completely normal. Francis would go on later in his pontificate to insist on a more "normal" notion of the papacy. One that refused to greet the cardinals who had just elected him pope from the heights of a podium, but rather at their level. One that resided not in the isolated Apostolic Palace but in the communal Vatican hotel where visiting priests stay. And one that was ultimately far more comfortable in the shanty towns where Jorge Mario Bergoglio perfected the church's "preferential option for the poor" than the halls of power where Francis went through the motions that protocol demanded of such an improbable head of state. The Rio trip ended with what has become the high point of every papal pilgrimage: the airborne press conference en route home. 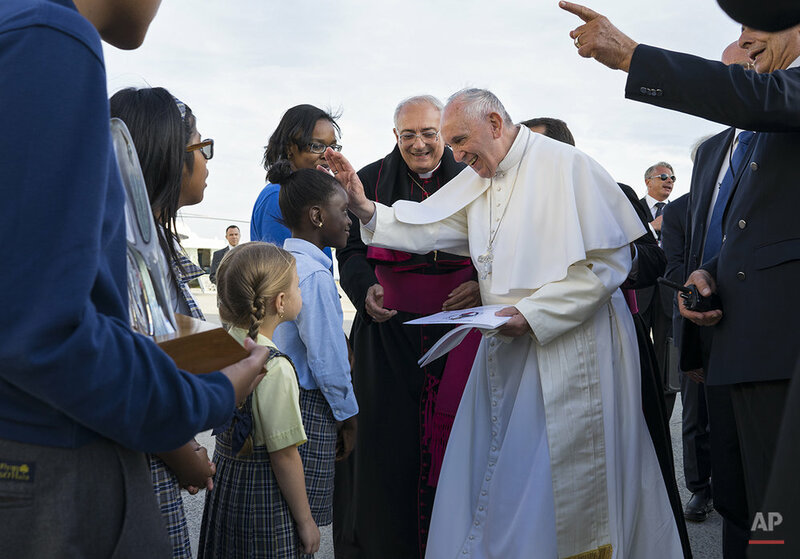 Shortly after takeoff and before dinner was served, Francis came to the back of the plane and held forth for a good 90 minutes — through turbulence — answering every question that came his way. I remember feeling giddy as he deftly answered: Would he close the scandal-marred Vatican bank? What about future travel plans? The role of women in the church? And then I took a deep breath when the final question was posed, not knowing how he would respond: What about rumors that one of his closest advisers had had a gay lover in his past? Francis thanked the reporter for the question, which had been buzzing in the media for weeks and threatened to snowball into the first major scandal of his papacy. Francis clearly wanted to respond. He said he had investigated the allegations and found nothing to back them up. But then he went further. "If a person, whether it be a lay person, a priest or a religious sister, commits a sin and then repents, the Lord forgives," he said. "And when the Lord forgives, the Lord forgets, and this is very important for our lives." "If someone is gay and is searching for the Lord and has good will, then who am I to judge him?" It was the soundbite that came to define his early papacy — delivered at 35,000 feet. Find more information about the AP book, Pope Francis: Transforming the Catholic Church, By Nicole Winfield. Text from the AP news story, Reflections on Pope Francis from 35,000 Feet, By Nicole Winfield.